While the Elantra GT received some exciting updates this year, the regular Elantra is still riding high off of its generational redesign that kicked off last year! 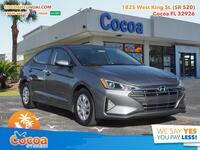 Although very little is new for the 2018 model year, the 2018 Elantra is still an exciting option in its segment thanks to all of the changes it underwent last year. 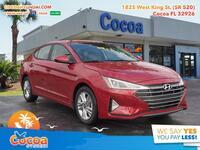 We thought we’d show you just how well it measures up to one of its big competitors by comparing the 2018 Hyundai Elantra vs 2018 Kia Forte. In order to make this comparison, we’ve compiled some of the important specifications of each vehicle into the table below. What we’ve come to realize is just how comparable these two compact sedans are to one another. 14.4 cu. ft. Cargo Capacity 14.9 cu. ft.
As you can see, the similarities are evident right out of the gate. In the first row, we took a look at power, specifically horsepower. Both the Elantra and Forte offer exactly 147 horsepower, giving neither a leg up. 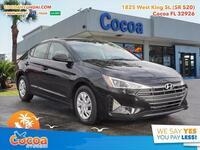 The second and third rows, however, are where the Elantra pulls ahead, and it just happens to be in fuel efficiency. 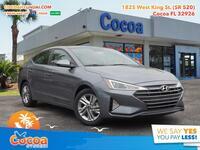 Efficiency is one of the most important aspects of any vehicle in today’s market, and while the Elantra’s advantages aren’t huge it will save you some cash at the pump over time. Unfortunately, the Kia Forte does have an advantage of its own, as seen in the final row. But an extra half-cubic-foot of space would hardly be noticeable. You might have extra room for, perhaps, a small backpack or purse, maybe even one bag of groceries, but not much beyond that. But there is much more to each of these sedans than these figures. The Elantra is packed with outstanding content both inside and out, and you can read about much more here on our website. 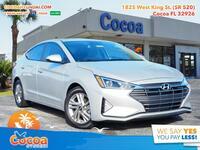 If you decide the 2018 Hyundai Elantra is the right compact sedan for you, be sure to get in touch with us either over the phone or right here on our website.